Leonard has his eye on playing in Los Angeles, preferably for the Lakers, according to ESPN. Gregg Popovich and Kawhi Leonard met Tuesday, but it's not expected to lead to a long-term reconciliation, according to an ESPN report. It also says that Leonard told confidants he originally did not want to sit down with Popovich and that he has been intentionally hard to reach. The 26-year-old Leonard is reportedly angry over the handling of his injury and comments from Tony Parker and Popovich. 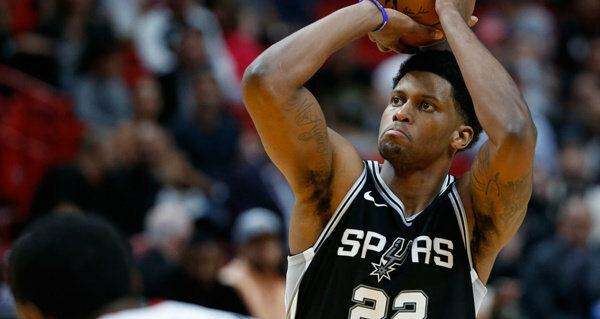 It doesn't seem to be working, because the disgruntled superstar has privately maintained that he no longer wants to play for the San Antonio Spurs and wants to be traded. Wojnarowski and Shelburne report that the Spurs are unlikely to be motivated to facilitate a deal to the Lakers. However, the Spurs are telling teams they are trying all they can to fix things with their star forward though they are doing their due diligence on the trade front. Leonard - who played just nine games last season - was one of the top players in the National Basketball Association in 2016-17, where he averaged 25.5 points and 6.2 rebounds per game. A right quadriceps injury, that saw him miss the first 27 games of the season, ultimately flared back up and saw him miss nearly the entire 2017-18 campaign, and was also the apparent catalyst of the rift that has formed between him and the Spurs organization. Leonard is under contract for two more seasons but can exercise a player option to become an unrestricted free agent next summer. The Spurs, however, have been reluctant to give teams guidance on what type of trade package they are seeking.